Background: One of today's global problems is the rapid growth of population. Population growth can be controlled through contraceptive method utilization. However, contraceptive use among males in most developing countries, including Indonesia, remains low. 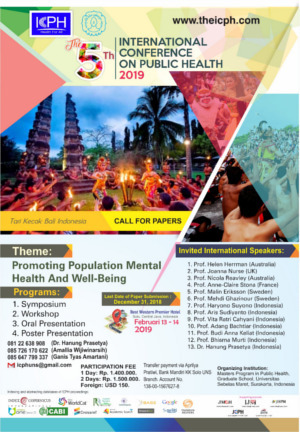 This study aimed to determine the social, economic, and cultural factors affecting male contraceptive use in family planning village, Yogyakarta, Indonesia, using Theory of Planned Behavior (TPB) and path analysis. Subjects and Method: A case-control study was carried out in Yogyakarta, Indonesia. A sample of 200 men aged 15 to 49 years was selected for this study by fixed disease sampling. The dependent variable was male surgical contraceptive method use. The independent variables were age, knowledge, education, intention, attitude, perceived behavior control, subjective norm, social culture, access to health service, and health service quality. The data were collected by questionnaire and analyzed by path analysis. Results: Male surgical contraceptive method use was directly affected by older age (b = 1.50; 95% CI = 0.54 to 2.46; p= 0.002), better knowledge (b= 1.48; 95% CI= 0.48 to 2.49; p= 0.004), stronger intention (b= 1.10; 95% CI= 0.15 to 2.06; p= 0.24), more positive attitude (b= 1.33; 95% CI= 0.35 to 2.30; p= 0.008), stronger perceived behavior control (b= 1.21; 95% CI= 0.23 to 2.20; p= 0.016), better access to health service (b = 1.59; 95% CI = 0.58 to 2.59; p= 0.002), better health service quality (b= 1.17; 95% CI= 0.22 to 2.12; p = 0.016), and supportive subjective norm (b= 2.07; 95% CI= 1.12 to 3.01; p<0.001). It was also indirectly affected by subjective norm, social culture, education, education, and access to health service. Conclusion: Male surgical contraceptive method use is directly affected by age, knowledge, intention, attitude, perceived behavior control, access to health service, health service quality, and subjective norm. It is indirectly affected by subjective norm, social culture, education, education, and access to health service. Correspondence: Bettya Kartikasari. 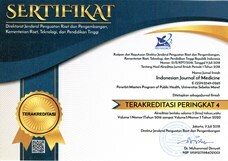 Masters Program in Public Health, Universitas Sebelas Maret. Jl. Ir. Sutami 36A, Surakarta 57126, Central Java, Indonesia. Email: bettyakartikasari21@gmail.com. Mobile: +6285817606484. Bertrand (2017). Kerangka pikir konseptual permintaan KB Serta Dampak Pada Fertilitas. Dalam: BKKBN. Peningkatan Akses dan Kualitas Pelayanan KB. BKKBN. Bandung. Bhakti SM (2008). Analisis faktor-faktor yang berpengaruh terhadap partisipasi pria dalam keluarga berencana di Kecamatan Selo Kabupaten Boyolali. Tesis. Universitas Diponegoro. _____ (2009). Studi gender peningkatan peran pria dalam penggunaan kontrasepsi di DKI. Kerjasama Pusat Kajian Pembangunan Universitas Atmajaya. Jakarta. Ekarini SMB (2008). Analisis faktor-faktor yang berhubungan terhadap partisipasi pria dalam keluarga berencana di Kecamatan Selo Kabupaten Boyolali. Tesis. Universitas Diponegoro Semarang. Murti B (2018). Prinsip dan metode riset epidemiologi edisi keempat. Surakarta: Bintang Fajar Offset.